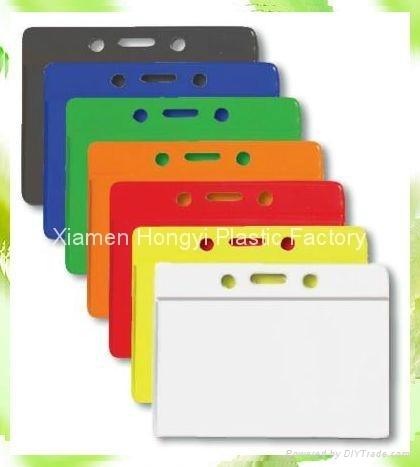 Manufacturer distributor of vinyl badge holder,ID card holder,credit card holder,name badge with or without clip. Detailed design and size and be manufactured according to your personalized requirement. 1. Material: clear Vinyl, PVC. 2. It can hold ID card, exhibition card, passport etc. 3. Available with or without clip. 4. It can protect ID card or passport or exhibition card away from damage. 5. Detailed design or size can be manufactured according to your personalized requirement. 6. Package: 100 pieces in one box, then 1000 pieces in one carton.